Steve “Hooter” Rainey celebrated the 20th anniversary of his first flight in the F-22 Raptor, May 17, 2018. 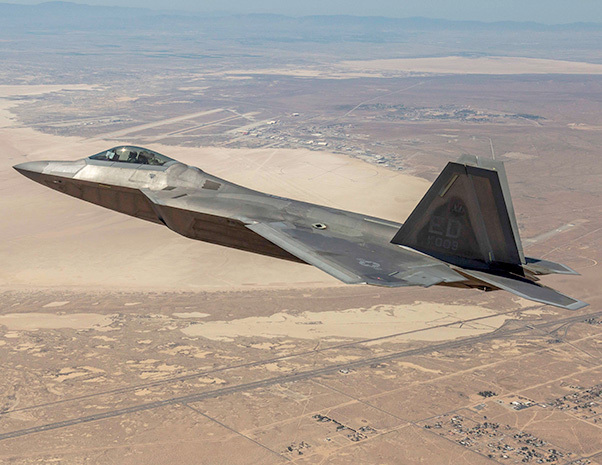 Rainey was the first Air Force F-22 pilot and has had the unique opportunity of seeing the Raptor from Critical Design Review to present testing. Christopher Higgins captures Steve “Hooter” Rainey as he celebrates the 20th anniversary of his first flight in the F-22 Raptor by recreating a photograph taken 20 years ago by the late Judson Brohmer. 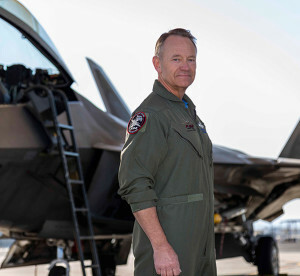 Rainey was the first Air Force pilot to fly the F-22 and is now Lockheed Martin’s chief F-22 test pilot at Edwards Air Force Base, Calif.